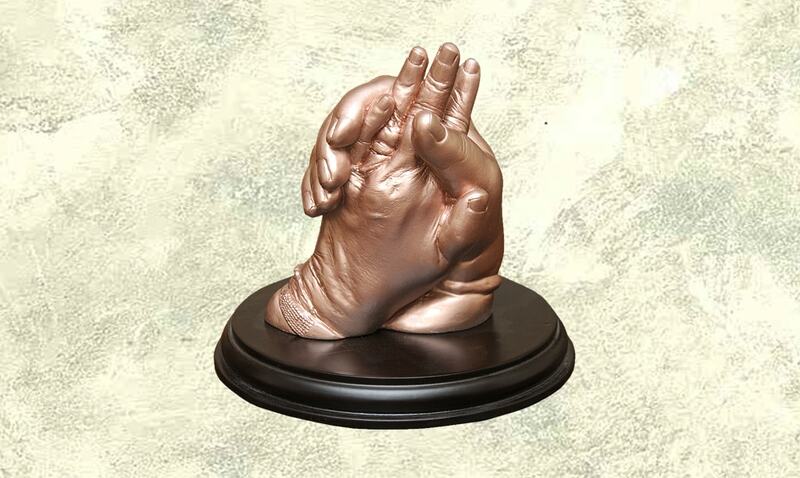 Couple Hand Casting - Impressions Forever are specialized in Couple Hand Casting. Behind the happiness of each couple lies the effort of two people who must have fought obstacles, dissimilarities between the two and expectations from time and again but still they triumphed over all and embraced life with love. 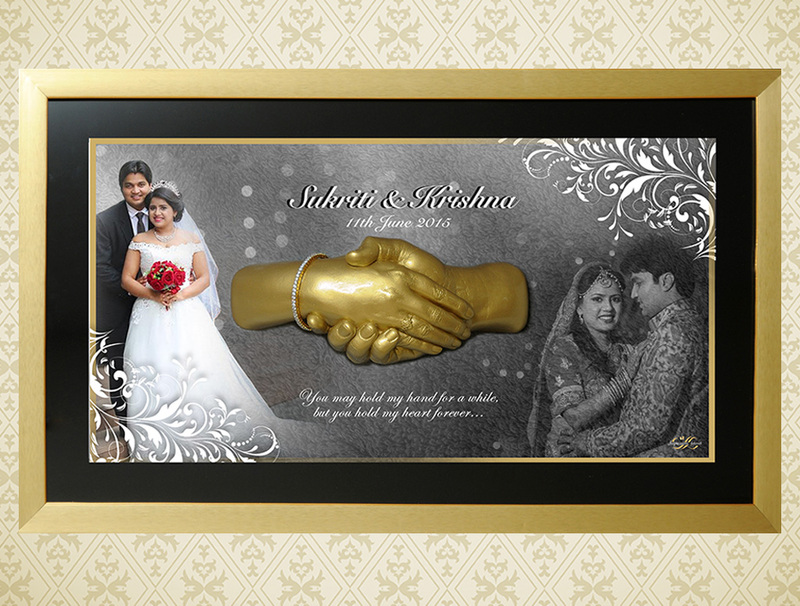 To benchmark this selfless bond for your generations to replicate, we bring you the castings of the souls in love forever. 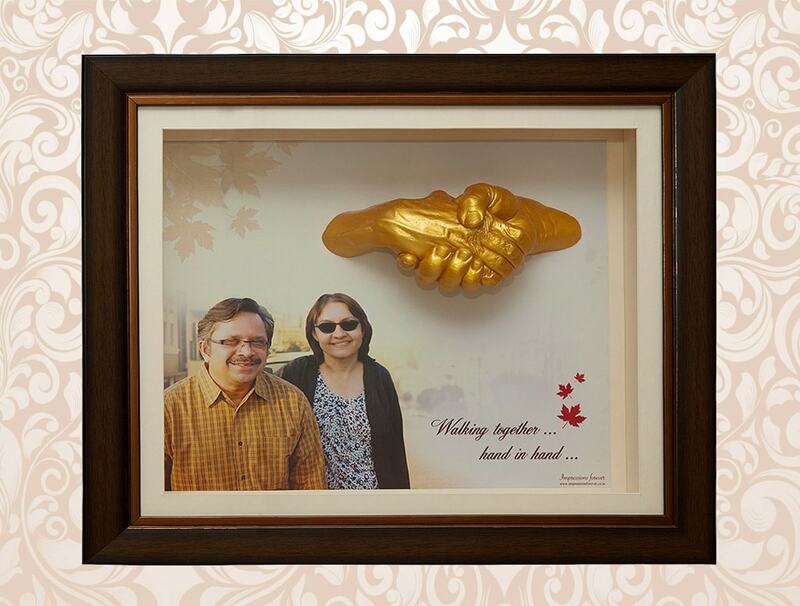 Celebrate the bond of togetherness and love for lifetime with our 3D Couple Hand Casting. 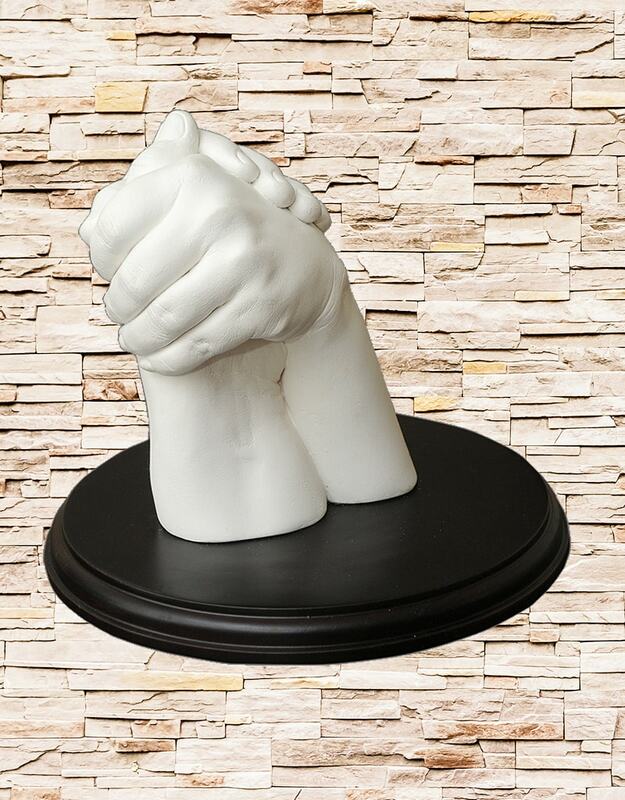 Be it holding hands on your anniversary or wedding, nothing displays the intimacy of your relationship better than our 3D couple hand castings. 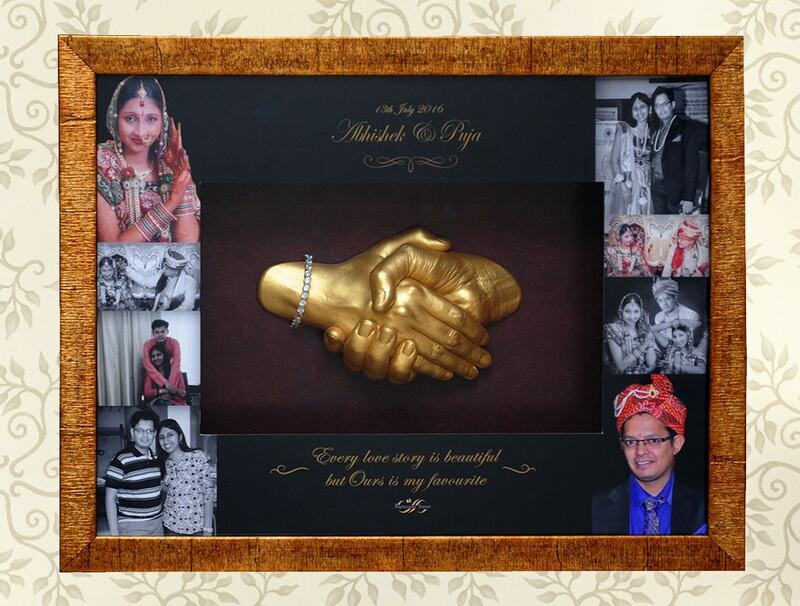 Create an everlasting impression that is special and unique that people will be talking about forever.